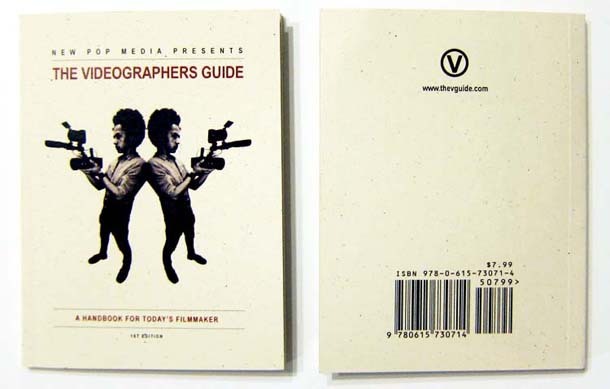 The Videographers Guide is a documentary series produced by our friend & professional videographer Trevor “Trevz” Bayack of The New Pop.The series chronicles the efforts of young filmmakers to establish themselves, while at the same time weaving in advice and insights gleaned from interviews with seasoned professionals. Episode 2 focuses on Events/Party coverage and will be out in March. As an added component to the series, Trevz has published a collector’s edition handbook that provides his own valuable insights and advice to budding videographers, based on his years of experience as professional filmmaker and video-blogging pioneer. The must-read book includes tips on how to conduct a successful interview, how to nurture successful client relationships (and get paid! ), and how to balance the dual needs of being creative while also keeping a roof over one’s head. -Learn more about the documentary series and companion handbook at Thevguide.com. -Read Contour’s original in-depth interview with Trevz here. Book cover photo courtesy of Alt Citizen.